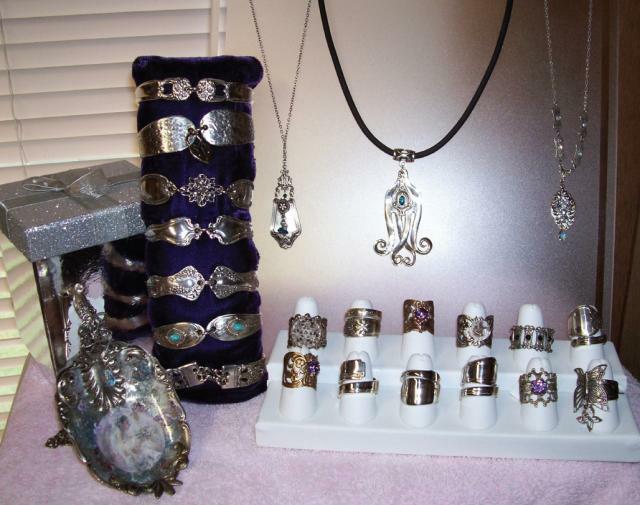 We make jewelry and special gifts from antique silverware. We collect from antique co-ops, stores, yard sales, church bazaars and people bring us their old silverware to turn into jewelry of their choice (if possible). We drill, cut, grind, buff, bend and create many hand-crafted gifts.